THIS is a growing strand of work for us. We began informally offering this service to young people who needed a positive role model but we have now had over 60 individuals formally referred from statutory bodies such as Youth Offending Service, Social Service, Children’s Services and other charitable organisations such as Red Thread, CenterPoint and The Children’s Society. 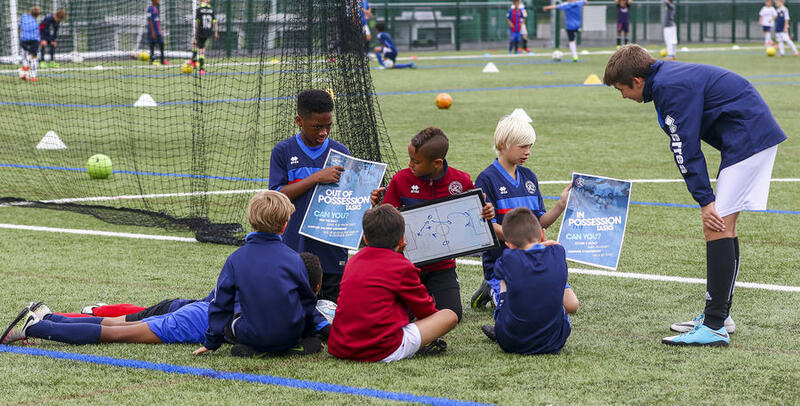 We are slowly becoming the ‘go to’ organisation in west London for this strand of work as more and more people recognise the power of football in engaging with people from all backgrounds. We work to build both individual and family resilience and have hosted restorative meetings for families at Loftus Road. Young people who are referred have a safe and accessible place to come to talk about their feelings with a neutral person they can trust, usually once a week. We provide personal development plans for each individual and offer support for them to achieve their goals. This may include them participating in a community initiative such as an employability programme or it may be that they are supported to access training or employment elsewhere. A mentor is assigned to a young person based on their skills and experience as well as the needs of the young person and support is ongoing for as long as it is appropriate in each individual case.